Once you've seen this film, reading the gospels will never be the same again! It's like reading them in Technicolor rather than black and white! Events in the life of Jesus leap dramatically from the page when one can visualise their original setting. This production sweeps us inexorably through the "greatest story ever told," from Jesus' birth in Bethlehem to His triumphant ascension on the Mount of Olives. David Nunn's enthusiastic presentation never tires as he features the latest archaeological discoveries and the insights they provide. This film is an inspiration and education for all ages. It really enables one to "walk with Jesus" in the company of His disciples. Journeying with Jesus in the Holy Land DVD by Vision Video was published by Vision Video in November 2008 and is our 1744th best seller. The ISBN for Journeying with Jesus in the Holy Land DVD is 727985012889. Very well prepared and presented DVD. I really enjoyed reconnecting with Israel after my recent visit. Got a question? No problem! Just click here to ask us about Journeying with Jesus in the Holy Land DVD. Has anyone seen this & can comment? I want a film that talks about the Bible times along with visiting the sites etc. Not following tourist groups around. 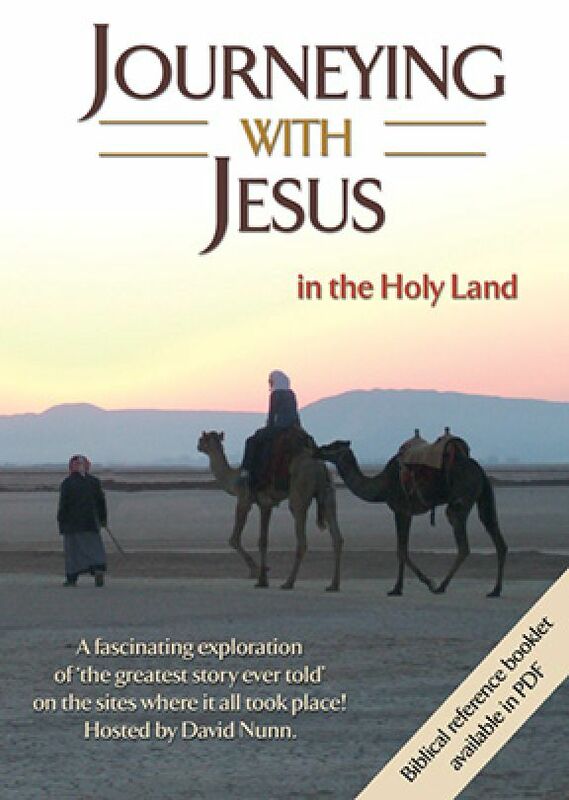 A:Thanks for your interest in the Journeying With Jesus in the Holy Land DVD. On the Eden product page for this item there's a short video clip of the content. Once you've got through the rather overly jolly title sequence, what follows is a pretty accurate sample of the rest of the DVD. It's very much contemporary footage of locations, structures, artworks and important sites filmed as they exist in the Holy Land today. Inevitably, as this is a living landscape, there are people - residents and tourists, in some of the shots. Yours, . What is the running time please?